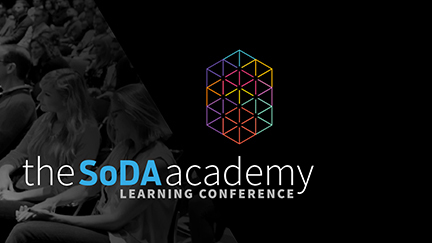 Chief Design Officer Sari and Project Manager Olga will be leading a session at the SoDA Academy learning conference. The conference is designed to introduce attendees to new ways of interacting in a learning environment within their areas of subject matter expertise. Attendees will engage in open and frank discussions of pressing challenges, unmet needs, and emerging opportunities. Sari and Olga’s session allows participants to explore topics within a rigorous collaborative learning environment and is targeted at anyone within the agency environment interested in working in cross-functional teams, showing how all members of the team can truly be part of Agile process.